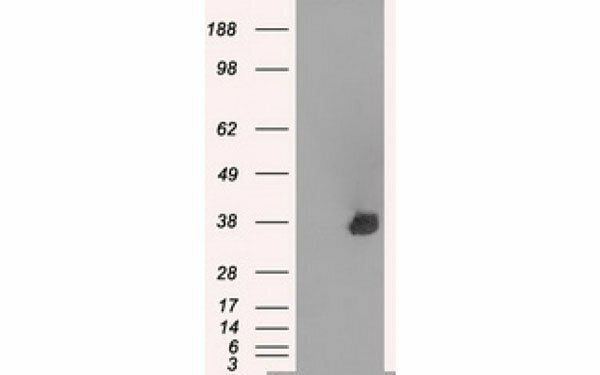 AURKC antibody was purified by affinity chromatography. AURKC may play a part in organizing microtubules in relation to the function of the centrosome/spindle pole during mitosis. Full length protein expressed in 293T cell transfered with human AURKC expression vector. 4°C shipping. Upon receipt store at -20°C . Avoid repeat freeze-thaw . Stable for 12 months from date of receipt. Small volumes of anti-AURKC antibody vial(s) may occasionally become entrapped in the seal of the product vial during shipment and storage. If necessary, briefly centrifuge the vial on a tabletop centrifuge to dislodge any liquid in the container`s cap. Certain products may require to ship with dry ice and additional dry ice fee may apply. NCBI/Uniprot data below describe general gene information for AURKC. It may not necessarily be applicable to this product. 1. 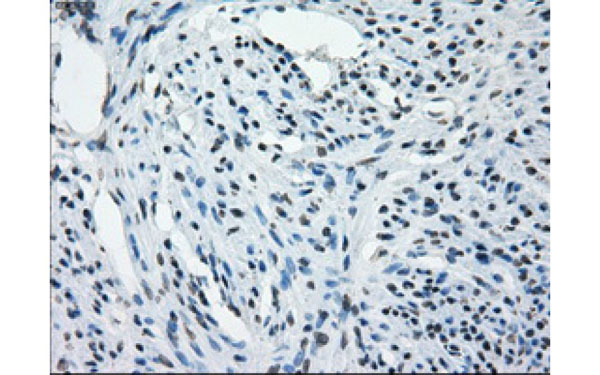 Data indicate that the selective Aurora A, B, and C inhibitor SAR156497 showed antineoplastic activity in HCT116 cell xenograft model.